Disclaimer: The Brainwavz B200 was sent to us free of charge directly by Brainwavz. 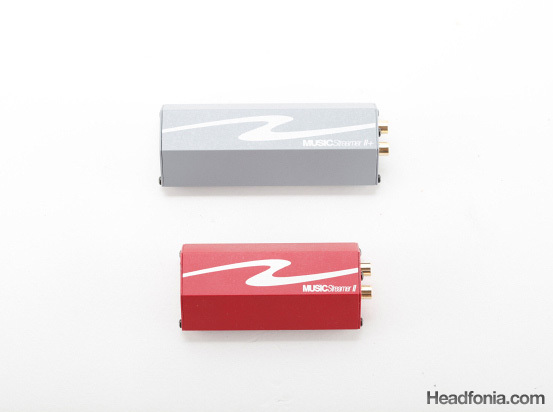 It doesn’t need to be returned, Brainwavz is not related to Headfonia.com in any way. 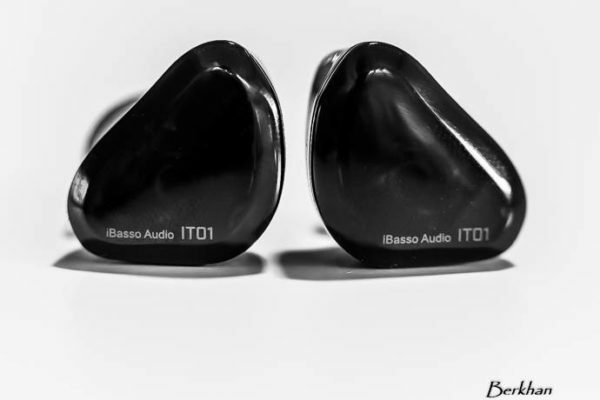 Today we’re looking at Brainwavz’s latest release: the B200 IEM. Logically it is the successor of the B100 and B150 which for some reason did not make it to our offices. 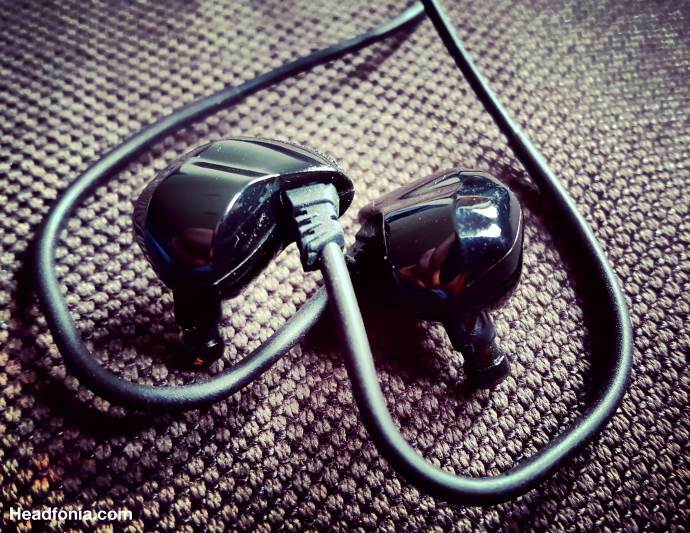 (The M100 is the last Brainwavz IEM we received for review). Where the normal Brainwavz IEMs use a single Balanced Armature (like the before mentioned B-series IEMs) or dynamic driver to produce sound, the B200 for the first time uses a double BA driver, making it their Top Of The Line universal IEM of their very expansive product line-up. Brainwavz opted for a woofer & tweeter configuration and that’s audible in the sound signature which we’ll go over later in this article. 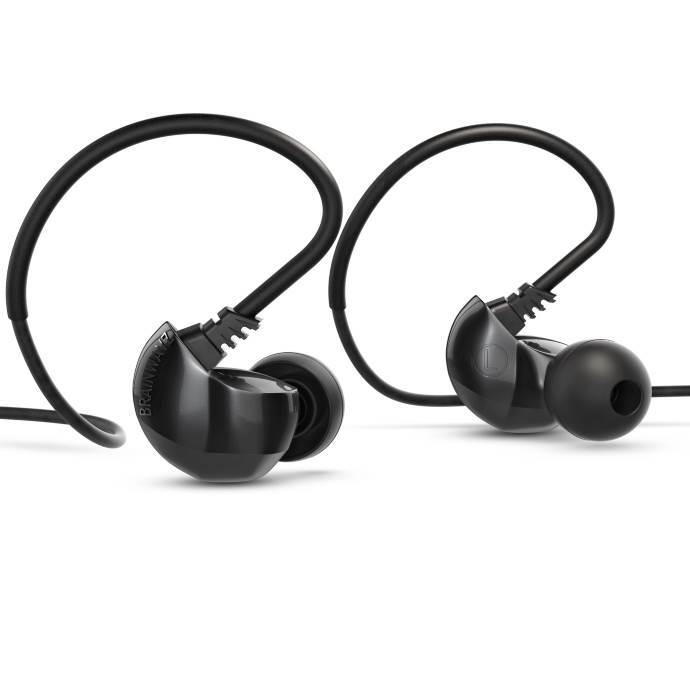 According to Brainwavz, the B200 earphone is designed for high performance and with comfort in mind. This dual driver earphone has been tuned to produce a balanced and accurate sound signature, with little to no colouring in the sound, listen to your music as the artist intended it to be heard. The B200 is fairly easy to drive and it has an impedance of 30 Ω with a sensitivity of 110dB at 1 mW. The official price was set at $199USD but it can be found for $179 on Amazon already. The B200 comes in a nice but simple box like all of Brainwavz’s IEMs do. Accessory wise you, besides the monitors, get one rectangular shaped hard case which is extremely easy to carry around and which perfectly protects the units. You also get 1 shirt clip, which I’ve never used in my life, one Velcro cable tie (love it!) and the usual manual and warranty card. The B200 comes with a 24 month warranty which is quite generous from Brainwavz, it shows they really believe in their products. Tip-wise the B200 comes with six! sets of silicone tips (S/M/L) and one pair of T-100 medium sized Comply Foam plus which I personally prefer over the silicone tips. The fit with the foam tips for me simply is the best and we all know you only get the best sound with a proper fit. The B200 – being priced at $199 – no longer is one of those real budget units Brainwavz is so famous for. There are plenty of contenders in the $199 price range, even with double BA’s, like the Noble Audio X in example. It means Brainwavz is very confident in how their new B200 performs. The B200 is an over the ear design and it has an incredibly small form factor. On top of that it’s extremely light and soft to the touch, resulting in a comfortable fit (with the foam tips), even after hours of non-stop listening. 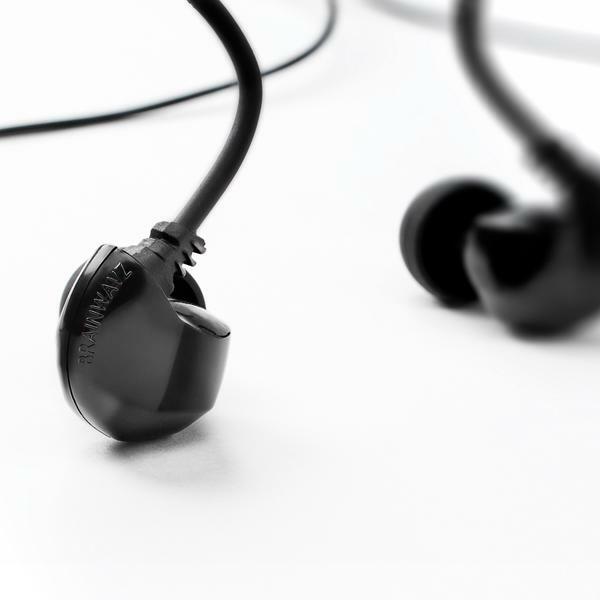 The Brainwavz B200 is very well built and its plastic shell shows no sharp edges or anything. Size wise it is so small it will fit everyone’s ears but if you have really big ears you actually might find its size too small. Then again, is that even possible? The nozzle is short and small and only the tiny T-100 foam tips will fit on them. On the inside of the units you’ll find the L &R mark pressed inside the plastic. On top of the units you’ll find the Brainwavz name right where the connector is. This is really small in size however and it doesn’t show. The cable is fixed, and that might be the only downside at this price level, and measures about 1.3m. It is made out of OFC copper and it has an excellent Y-splitter with sizing slider. I found the cable to be completely friction free which is always a very positive thing. The B200 is terminated with a 3.5mm single ended plug with an over 45° angle. It’s a decent and sturdy cable, too bad it just isn’t replaceable. The pre-shaped over ear memory parts are fairly small but for my ears they are perfect. I do think you could make them bigger heating them up a little. The Brainwavz B200 isolates pretty well, especially with the foam tips. I could perfectly listen to my music at an acceptable volume while vacuuming and not be bothered by the noise the vacuum cleaner was making. If you want to follow the B200 discussion on Head-Fi you can do so here. If you look around on Head-Fi you’ll also notice that Brainwavz announced a B300 IEM already and I even think Brainwavz even previewed at Canjam SOCAL.